Can a blank be considered a ding an sich? 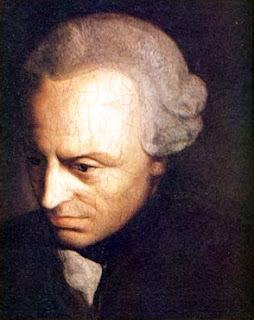 MOSCOW (AP) — An argument in southern Russia over philosopher Immanuel Kant, the author of “Critique of Pure Reason,” devolved into pure mayhem when one debater shot the other. The state news agency RIA Novosti on Monday cited police in the city of Rostov-on-Don as saying the argument took place in a small store and deteriorated into a fistfight. One participant pulled out a small nonlethal pistol and fired repeatedly. The victim was hospitalized with injuries that were not life-threatening. The weapon fired plastic bullets or blanks. Neither person was identified. Arguing about Kant makes me want to shoot somebody, too. On the other hand, is a pistol that shoots blanks a gun? Or only the idea of a gun? Someone took "shooting down an argument" too literally. Clearly, guns don't shoot people, philosophy shoots people.